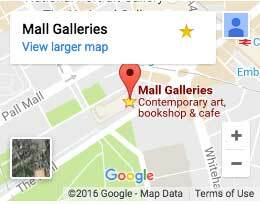 If you love Mall Galleries, we value your support at any level. We are a registered charity and receive no government funding. We hope you have enjoyed being a Friend of Mall Galleries this year. We offer tailored opportunities for corporate engagement in the form of sponsorship and corporate membership. The Federation of British Artists relies on the generosity of its Friends and Sponsors for supporting Mall Galleries and for sustaining and enhancing our annual programme of exhibitions. Your will is a lasting reflection of your life, values and experiences. If you feel passionately about the visual arts, you can play a vital part in helping us to champion living artists by inspiring and educating diverse audiences about contemporary British art. Help us ensure the long-term future of free art education.